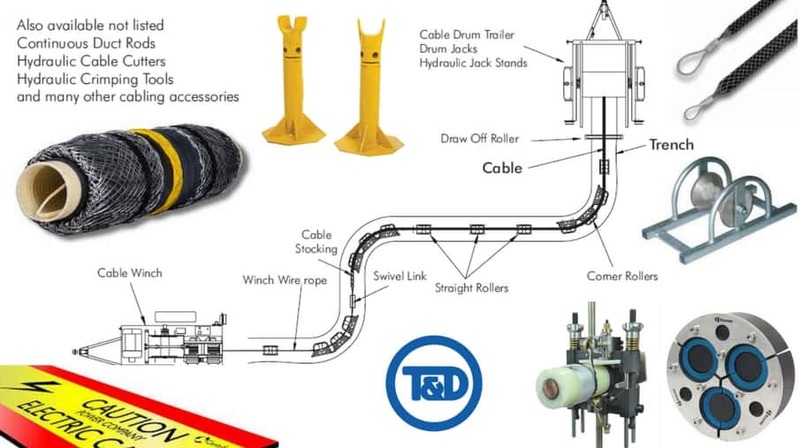 Thorne & Derrick International distribute the most extensive range of Cable Pulling & Cable Laying Equipment to enable the installation of low, medium and high voltage power cables into underground trench or duct – products also supplied for fibre optic blowing, subsea trenching, offshore umbilical installations and pulling armoured cables onto cable tray. 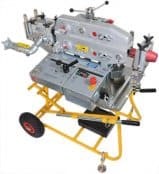 The use of the correct cable pulling equipment ensures accurate and faultless installation of LV-HV cables for reduced future operations and maintenance requirements and costs. 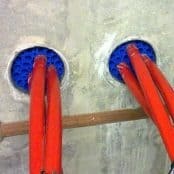 T&D supply UK and international contractors responsible for Low & High Voltage Power Cabling, Pulling, Jointing & Civil Engineering with cable duct, duct seals, lubricant, cable covers and tape tiles specified for 11kV/33kV installations. 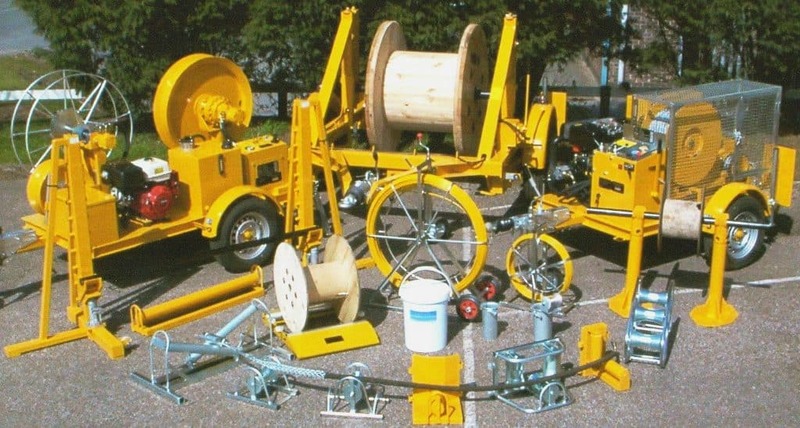 Cable pulling equipment to support difficult 400kV Transmission & Distribution cable installations into underground cable tunnels with cable drum trailers (up to 50,000kgs), mechanised cable pulling machines, cable drum lifting jacks and pulling socks for EHV cable projects. T&D stock as standard LV, 11kV, 33kV, 66kV and 132kV cable pulling products for immediate delivery to UK contractors or overseas destinations. T&D distribute the Slingco range of cable socks to suit all types of cable and conductor pulling through cable ducts, conduits and trenches – cable socks are available with diameters up to 20 inches (500mm) and break loads exceeding 120,000lbs. Cable socks must not be used to their approximate breaking strain limit and a sensible safety factor should always be used.